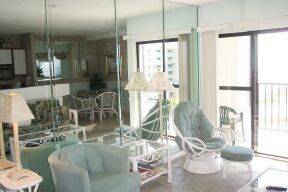 2 Bd/2 Ba Plantation Condo: Great View & Rates!! 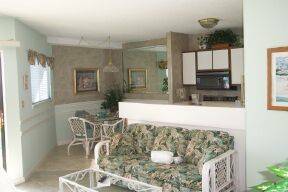 Our NON-SMOKING, NO PETS condominium is a two-bedroom, two bath, beachy decorated condo. 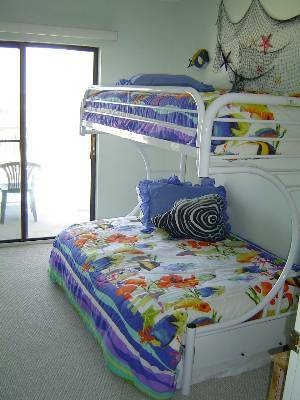 There is a QUEEN BED in the master, QUEEN SOFABED in the living room, a FULL BED W/TOP TWIN BUNKBED in the guest room - KIDS LOVE THIS. With a gorgeous view of the gulf and pools, tennis courts, and even the putting green, you can relax on the balcony with your morning coffee or watch the sunset! 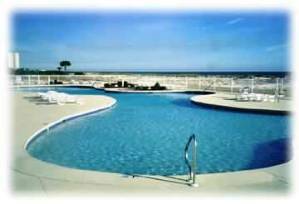 Gulf Shores Plantation is a gated, vacation community offering private, sugar-white, beach frontage, natural, sand dunes and beautiful landscaping. 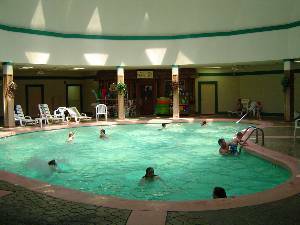 Activities available to all ages and perfect for family getaways include tennis, basketball, shuffleboard, horseshoes, six outdoor pools, hot tubs, and INDOOR HEATED POOL, sauna and steam room. 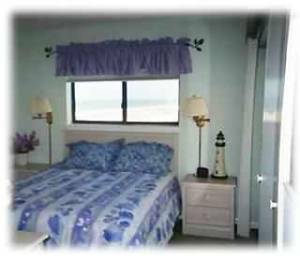 Just a short walk down the boardwalk to the 2000-foot, private beach with the softest of white sand, you can enjoy a book in a comfortable chair under your umbrella or watch all the sand castles being built. My own kids discover something new and exciting every time we visit! In our building there is a private laundry room, fitness center, jacuzzi, library, and internet access. This resort is next door to the nationally-ranked Kiva Dunes Golf Course and just down the street from The Peninsula golf course. 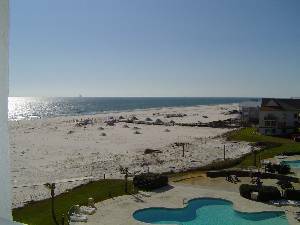 Perfectly situated, the Plantation is minutes away from the restaurants, shopping, and entertainment of Gulf Shores, yet you are away from the over-developed, crowded beaches of the strip. Perfect Soft White Sand Beach!! Security deposit of $150 refundable. 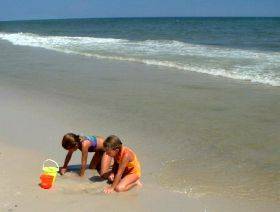 Rent our Beach Supplies $56 ($8/day), chairs, umbrellas, toys, more.